In Part 1 I talked about why professionals must be in control of As Many photographic variables as possible. 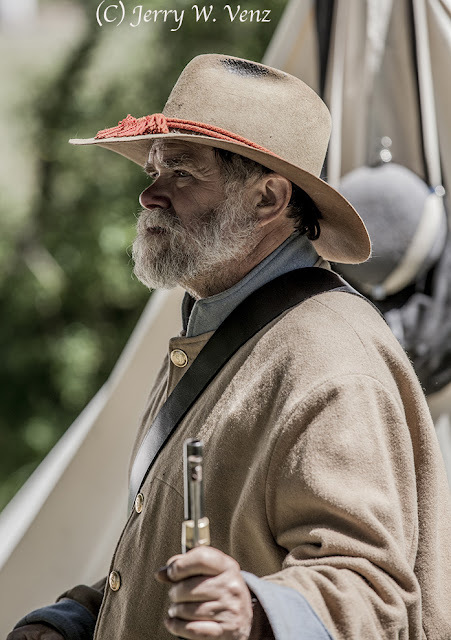 Nothing has changed here in the digital age; when I did all my photography on film for 30 years or these last 15 year as a digital artist—I never used anything but the manual mode and those first 30 years were also using only manual focus lenses! A Professional photographer often builds an image in layers; it’s called foreground, mid-ground (usually the subject) and background. This is how we create depth, interest, and three-dimensionality. I tell my students that “I build my portraits from the background-forward.” It’s our job, as an artist, to direct where the viewer looks in our images. The way we do that in photography is with what is sharp against what is un-sharp (or out of focus). We control that with our point-of-focus and depth-of-field. The most important tool that will effectively control these things is focal length; In my world more is best. I use the most focal length I can given the space I have—usually 200-300mm. This image was fun to construct. In the mid-ground there is the small replica cannon on a table with the flags around it—the confederate flag in the foreground. In the deep background are two full size cannons that I placed just where I wanted by maneuvering my camera position. 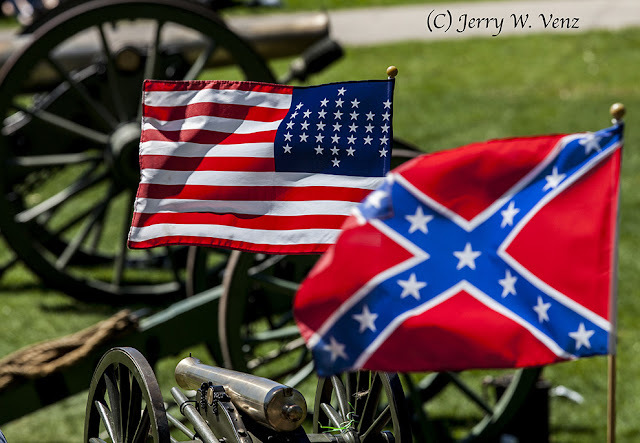 I used 200mm to compress the composition, but in this case I did not want the cannons in the background to be blurry blobs, using my usual f4.5 aperture, so I stopped-down to f9.0 to make them recognizable—I wanted to unite the cannon theme from mid-ground to background. 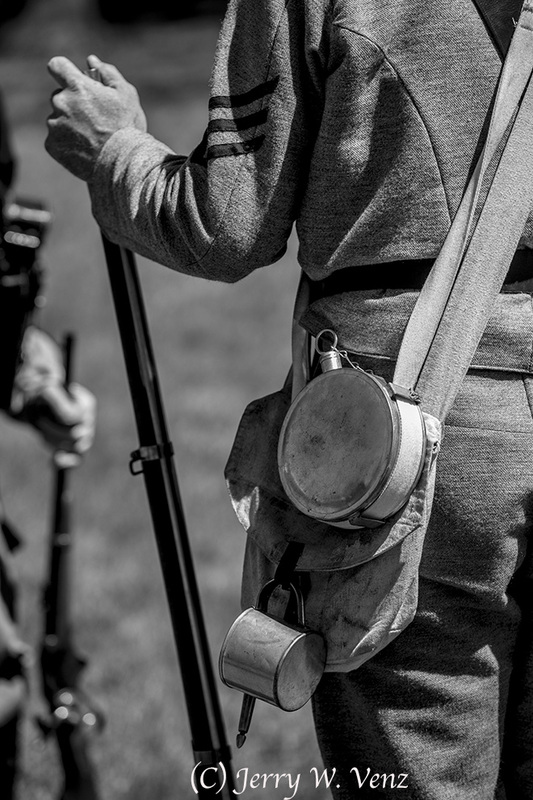 I loved this confederate soldier’s canteen and cup and when he leaned on his musket I was ready.I took one image then moved to my right a little to place the other soldier’s rifle in the background-changed from f4.5 to f5.0 to get a little more depth-of-field and got this image. It’s one of my favorites—especially after I converted it to black and white. This is my favorite portrait set-up. I like my aperture at f4.5 (even though my lens is an f2.8) on portraits because no matter how my subject turns his head I can always get BOTH eyes in focus and I still get a nice out-of-focus background because my lens is at 200mm. If you really want to learn what is possible and progress as an artist, put your camera on “M” and then THINK about each image before you click the shutter. What is your goal? What are you trying to reveal? Have a point of view! And, use More telephoto!